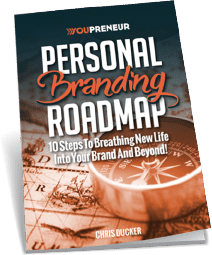 About Chris - Youpreneur.com - How to Build, Market and Monetize Your Personal Brand! Serial entrepreneur. Bestselling author. Keynote Speaker. Trusted international business mentor… meet Chris Ducker! Our founder, believes that your brand is what people say about you when you’re not around. He lives and breathes that mantra, while at the same time affecting positive change in the lives of Youpreneurs around the world. He’s also a proud Brit and a fan of good scotch! He suffered a horrific burnout. At that point, he owned and operated the Live2Sell Group, a BPO facility in the Philippines that had 100+ employees. Living like most entrepreneurs, he was working 14-hour days, six days a week, spending very little time with his family and was stuck working ‘in’ his business, instead of ‘on’ it. He loved his business and the focus of building it, but was tired. It eventually ended up with him needing invasive spinal surgery to correct a condition brought about by sitting at his desk for too long. Going into 2010, he put a 1-year goal in place to become a full-time Virtual CEO. To chart the journey, he started blogging and podcasting and by late November 2010, he had achieved his goal, garnering a loyal and growing online following, in the process. Not only that, but he’d founded another business in the middle of that year, Virtual Staff Finder, as a result of simply listening to his online audience. His personal brand was already bringing along new and exciting business opportunities. As a brick and mortar business owner with an ‘old school’ mentality, Chris found himself a little surprised at how he was starting to embrace the internet. Initially he was just focusing on blogging and podcasting, as well as recording lots of online video content. However, he soon started using social media with a real zest for business growth and relationships. The world had already ‘changed’ the way it was doing business, and now Chris had finally started to follow suit! Because of the focus Chris was now putting on his personal brand, he started to see a massive influx of inquiries to his businesses. More than we had ever experienced before. He was getting asked to be interviewed by different podcasters and being featured in the press, across several mediums. More and more private consultation clients came on board and he began getting invitations to speak at events more frequently. 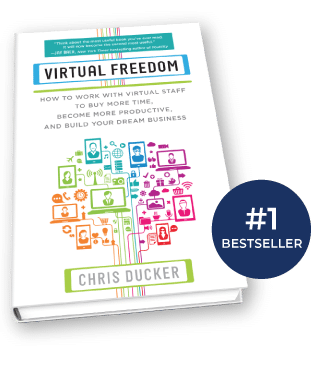 Virtual Freedom was published to great success (800+ 5-Star reviews on Amazon and counting!). 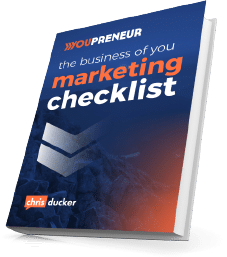 In September 2015, Chris launched his latest business venture… Youpreneur.com - the website you’re currently sitting on. 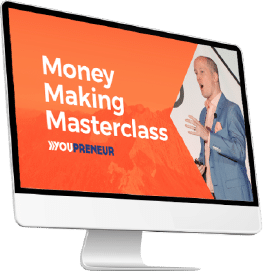 Fuelled by an inner-focus to help other entrepreneurs achieve what he has – to grow a future-proof business based around your personality and experience – he now focuses almost all of his time on building what he believes will be his business legacy. Through his mentorship and unwavering passion to serving the people he believes he can affect the most change in, Chris continues to podcast weekly, organise and host live events (such as the Youpreneur Summit) speak around the world and coach people in various formats, to help them achieve their goals in business and life. His second book, Rise of the Youpreneur was published and became an instant No.1 bestseller in multiple categories on virtually every Amazon platform in the world. Chris still owns and operates Virtual Staff Finder, as well as the Live2Sell Group, which today houses 300+ employees. However, he now works an average of just 6-hours a day, and his workweek no longer includes Friday. Get to know Chris better!